Racquel Writes: I'm Reading with Lauren Groff & Hunter Choate at Functionally Literate! 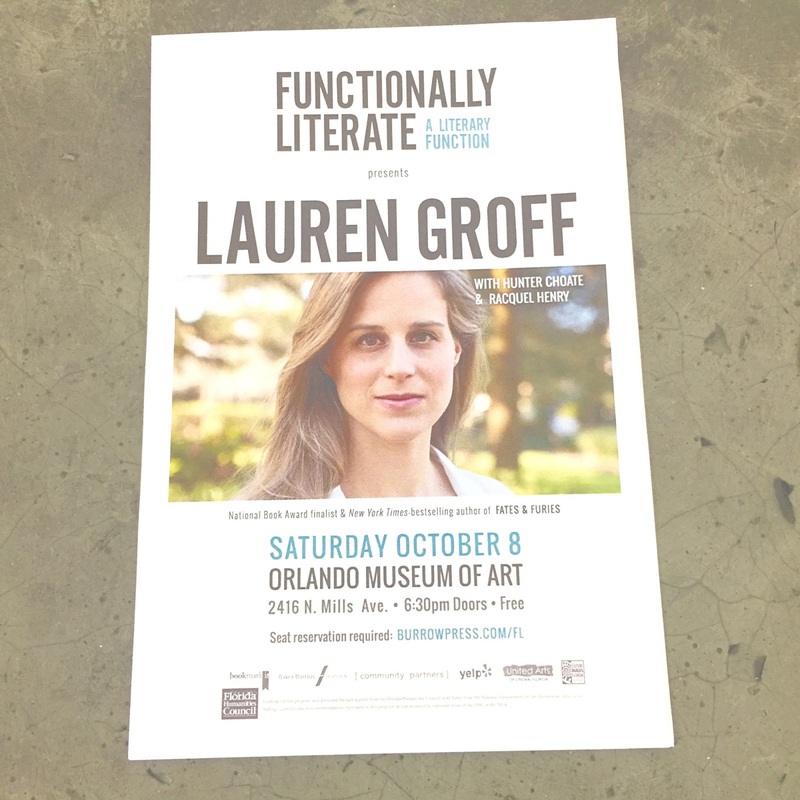 I'm Reading with Lauren Groff & Hunter Choate at Functionally Literate! Hi, all! I was invited by the lovely folks at Burrow Press to read with National Book Award Finalist, Lauren Groff, and Hunter Choate! The reading is part of their Functionally Literate series, which I am a huge fan of. I still have to pinch myself to believe that it's actually happening, but I'm thrilled and honored to participate. The best part about this event is that it's free and open to the public. Now that I've had a little time to stop fangirling, I must figure out what piece I'm going to read.